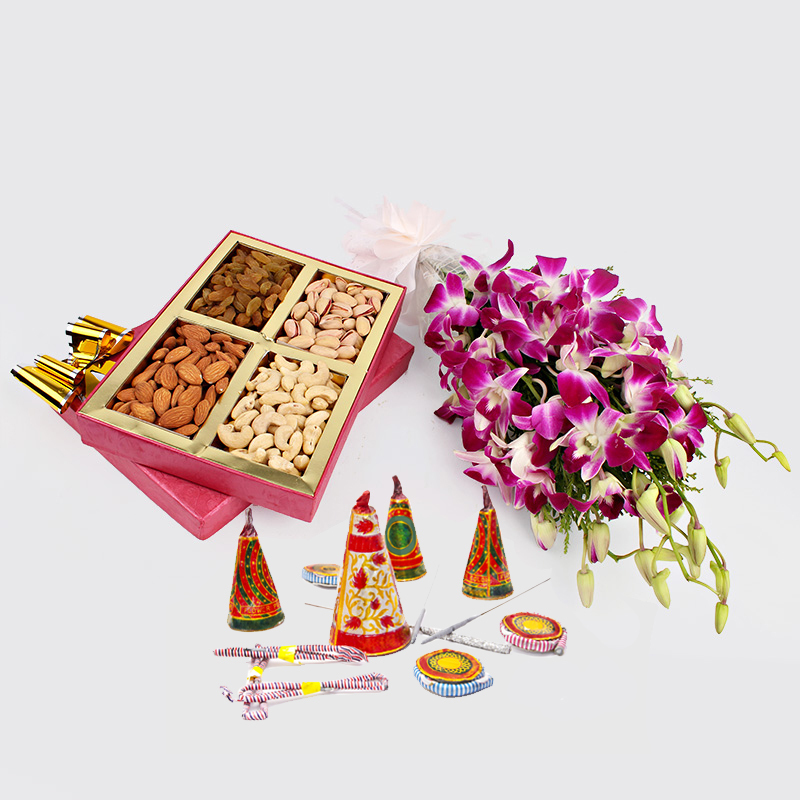 Product Consist : Bouquet of 6 Orchids with Box of Assorted Dryfruits (Weight : 500 Gms) Along with Assorted Fire crackers (Worth Rs.300/-) (Note: Types of Fire Cracker are depends upon their availability no specific choice). 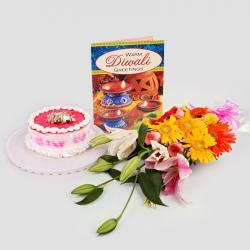 This hamper makes a brilliant gift for your loved ones on the auspicious occasion Diwali. 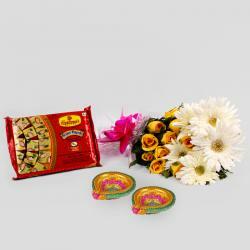 The hamper comes with both a tasteful delight of dry fruits and Flowers like orchid bunch. And it is paired with Fire crackers to give your diwali celebrations an awesome start. The hamper comes with a box of dry fruits which has almonds cashews pistachio and raisins. You will also get assorted Fire crackers with this hamper. 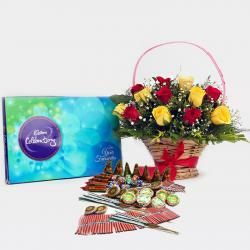 So order this amazing hamper online today that is all set to enthrall your loved ones. Product Includes : Bouquet of 6 Orchids with Box of Assorted Dryfruits (Weight : 500 Gms) Along with Assorted Fire crackers (Worth Rs.300/-) (Note: Types of Fire Cracker are depends upon their availability no specific choice).